The most eagerly anticipated dance album release of the year is finally here! 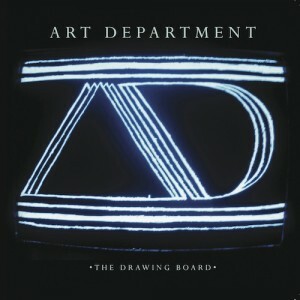 After last year’s game-changing ‘Record of the Year’ anthem (RA/Groove/Mixmag) ‘Without You’, Art Department release their debut album and it’s truly amazing!! Not since Daft Punk’s ‘Homework’ album has a debut dance album been so feverishly awaited. Art Department have gone back to The Drawing Board and rewritten house music for a new generation. The haunting, yet lucid and melancholic house of Art Department (Kenny Glasgow & Jonny White) is reminiscent of early Chicago house through a 21st century paradigm. The music is emotive and beguiling, whilst being something truly original and inspirational. While they visibly pay homage to generational influences, from early Chicago house classics to quintessential hip-hop and Disco, they manage to create a truly unique formula for themselves. This double pack vinyl of version of the album contains 5 of the tracks from the album. ’The Excuse’ is only featured on this vinyl version and does not feaure on the CD or Digital.